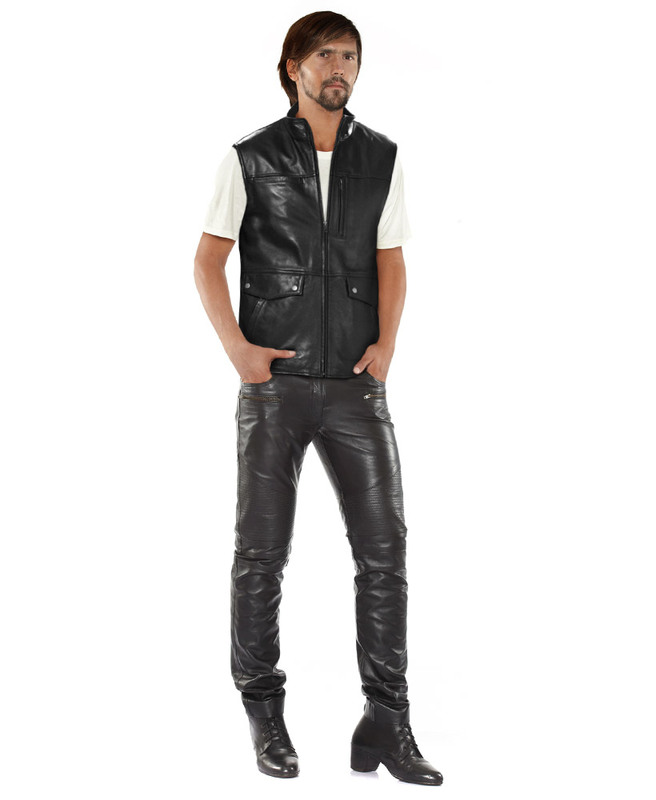 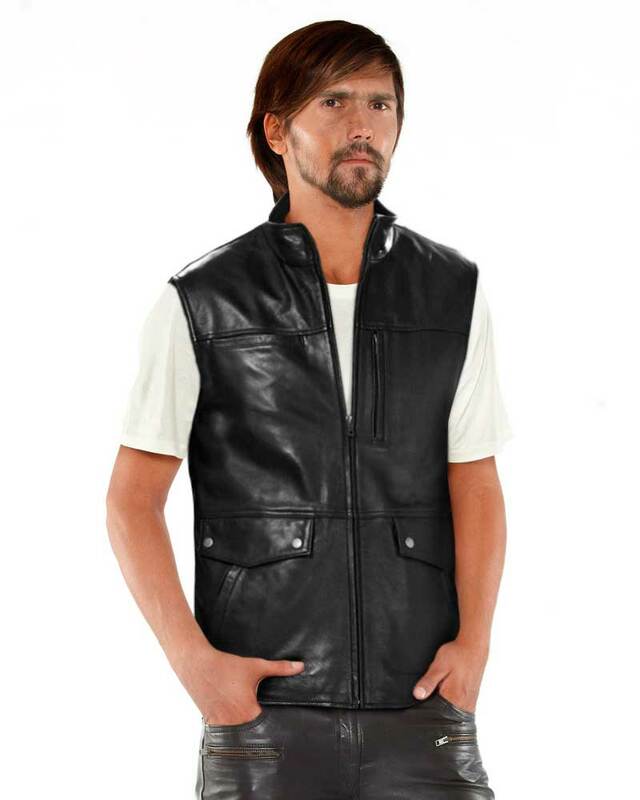 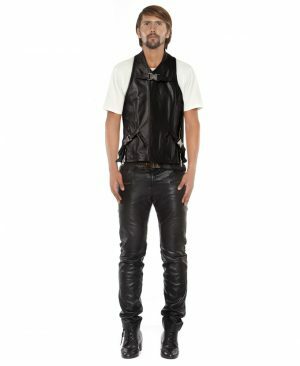 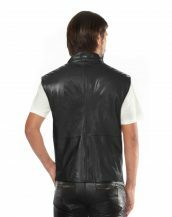 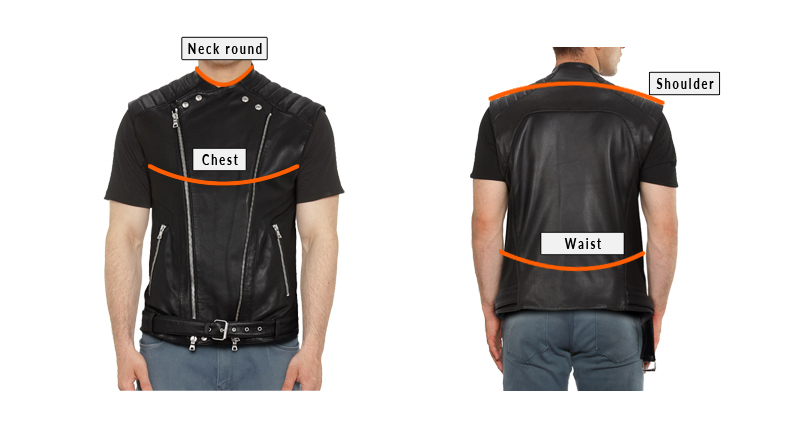 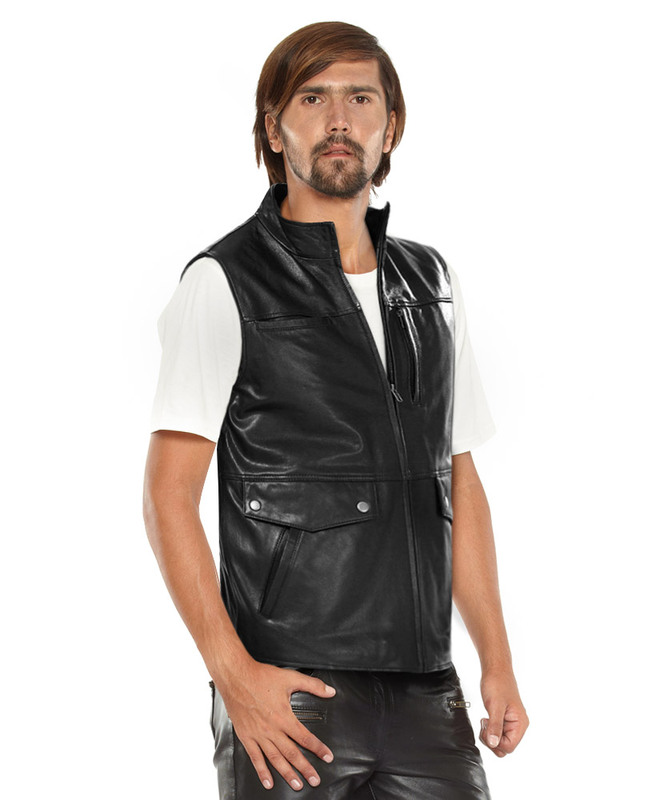 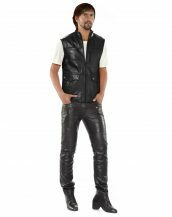 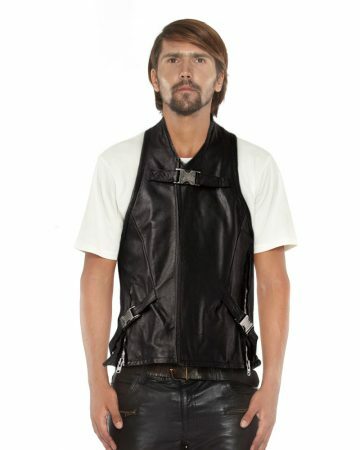 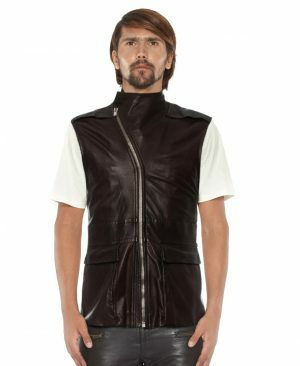 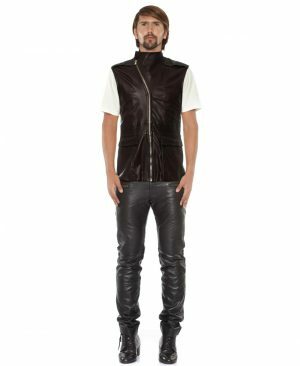 This mens black leather biker vest is perfect to compliment your casual yet classy look. 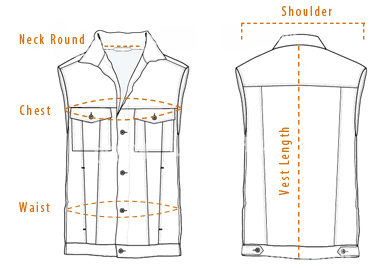 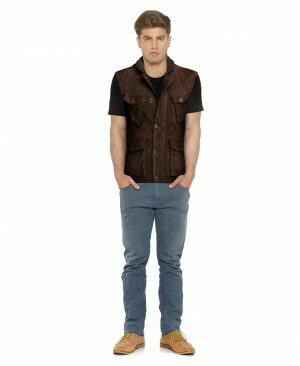 Detailed with a vertical zippered chest pocket and a welt chest pocket on either sides, this vest is a perfect solution for this season. 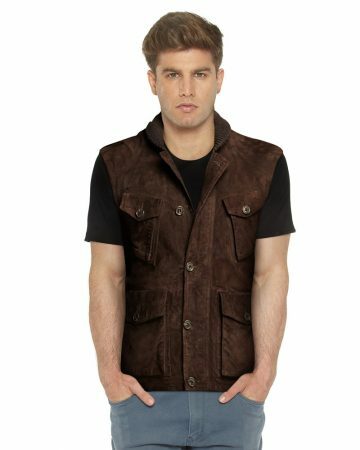 Bring this vest home and team it successfully with denims.